The terrace. This is where you’ll spend relaxing time reading, discussing or sipping a coffee, protected from the sun, while watching the kids playing in the pool. 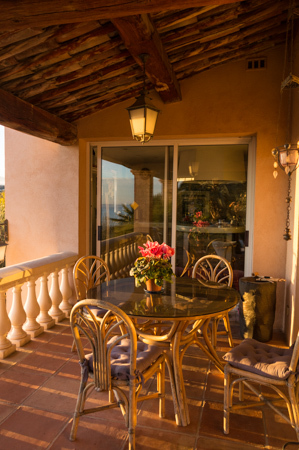 The little breeze coming from the ocean make this spot one of the most pleasant of the villa almost any time during the day or in the evening. A delicious way to start the day — having your breakfast on the side of the terrace, while overlooking the sea.